In tackling the complex issues that some of Greenville’s youth face—geographic isolation, intergenerational poverty, fragmented pathways from education to employment—there is a commitment to public-private partnerships and a long-term bold vision, carefully shepherded by a string of local leaders. Like many other former milltowns across the South, Greenville’s economy centered on textile manufacturing for much of the 20th century. 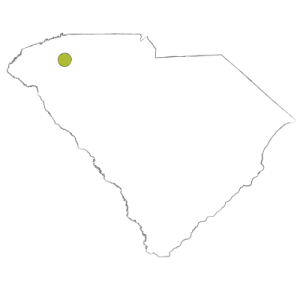 But unlike many others, Greenville successfully diversified its economy before globalization and technological innovation sent many jobs overseas. In the early 1970s, Michelin invested in the Upstate region, followed by several other automotive manufacturers, and by the mid-1990s, BMW had established a major auto assembly plant in the area. 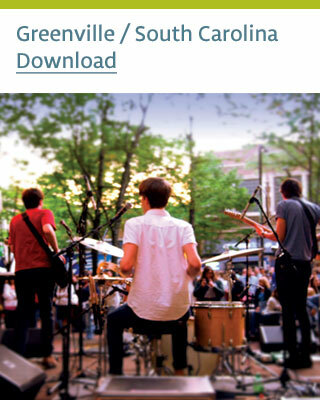 The story of Greenville’s revitalization and economic growth is praised. City leaders frequently host civic and governmental groups from around the country, offering advice to communities that dream of similar success. In 2014, the National Fund for Workforce Solutions, a national partnership of regional collaboratives focused on workforce innovations, recognized Greenville for its exemplary workforce development partnership, which has been particularly successful in connecting older, dislocated workers to jobs. 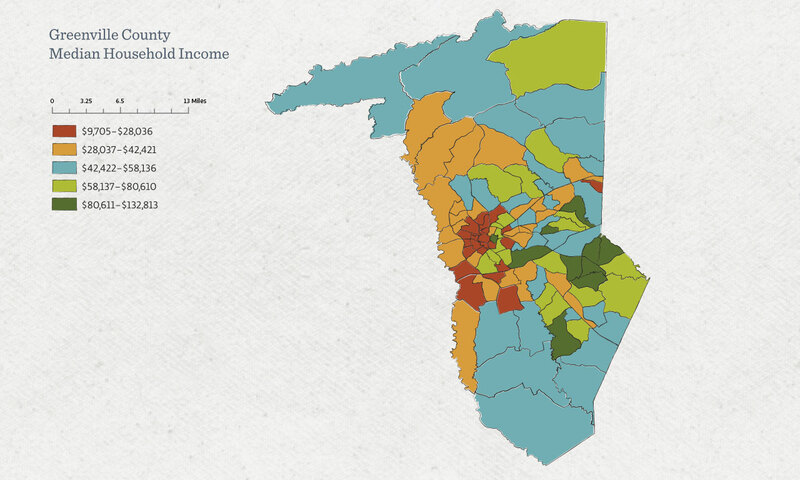 “Greenville is filled with prosperity, but there is a divide at White Horse Road where that same level of prosperity just does not exist,” says Tish Young McCutchen, vice president of organizational planning and public affairs at United Way of Greenville County. In many of these neighborhoods, students lack the work experiences and information they need to make decisions about how to prepare and compete for family-sustaining jobs. “It’s really hard to get the message across to youth how good the options are in manufacturing,” says John Baker, executive director of Greenville Works. For some students, particularly those living in neighborhoods with high unemployment, there also is mistrust of manufacturing jobs, since their parents were laid off when textile jobs were outsourced. “They have old perceptions of manufacturing—that it’s dirty and nasty. They need to see other people like themselves doing these jobs and helping them to understand the strong possibilities in this industry,” says Becky Godbey, vice president of career development services at Goodwill Industries of the Upstate/Midlands South Carolina. 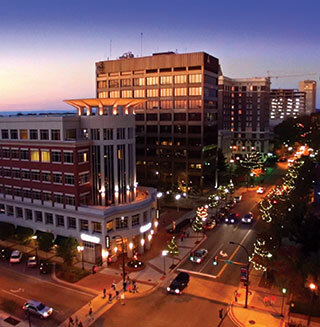 When asked how Greenville has been so successful in transforming itself, many leaders describe the city’s long history of public-private partnerships and a long-term commitment to a bold vision, carefully shepherded by a string of local leaders. 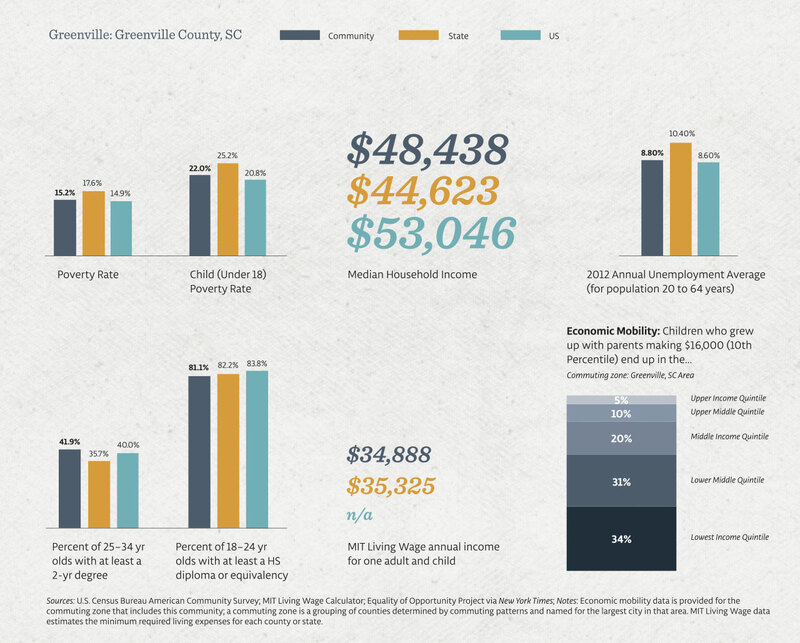 In tackling the complex issues that some of Greenville’s youth face—geographic isolation, intergenerational poverty, fragmented pathways from education to employment—there is a commitment to applying a similar approach. Many individuals and organizations from the public, private, and philanthropic sectors have come together in partnerships focused on a number of these issues, and United Way of Greenville is often the convening backbone organization. In 2003, United Way began working on a community impact agenda; in 2008, it embarked on a bold project to create strategies for three new focus areas: school readiness, high school graduation, and financial stability. “We worked with the broad community—moms and dads, experts in community development, business leaders—to assess what we were already doing and what we needed to do to address each issue,” says Phyllis Martin, vice president for strategy and investment at United Way. From this process emerged three “road maps”—one for each of United Way’s priority issues—that describe the goals, benchmarks, and strategies for each pathway. 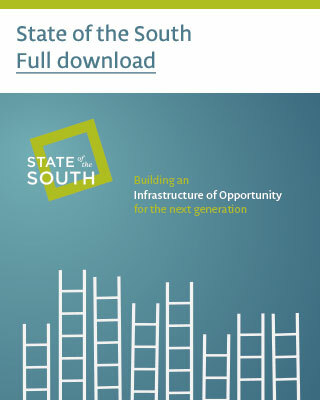 Together, these three strategies represent some of Greenville’s major bets on building an infrastructure of opportunity—the human capital development, employment generation, and social and financial supports necessary to help young people succeed—for youth and young adults, as well as those in early childhood. Along the education-to-career pathway, United Way has made an intensive investment in the middle grades. “Middle schools are often the poorest performing piece of the K-12 education continuum, and success in those years is crucial for students’ completion of high school and transition into postsecondary education,” says Ted Hendry, president of United Way. “In collaboration with the school district, we’ve identified the middle schools that need the most intensive support, which are all in the White Horse Corridor.” These investments include implementation of a formal early warning system to identify struggling students before they drop out. United Way and Communities in Schools are building a network of public and private after-school programs to ensure providers are delivering high-quality programs with national best practices and reaching kids who are most in need. Working with students and families in one part of the city represents United Way’s shift toward place-based work. “By focusing on a specific geography and spending a lot of time there, we are hoping to learn what the people living in a specific community really care about and need. We want to work collectively to implement strategies that address multiple problems in a coordinated way with the right supports at the right time. Then we can see what is working and what isn’t before we attempt to scale the strategies in other places,” says Martin. While United Way is focusing on middle grades success and postsecondary readiness, other organizations are taking the lead on infusing work exposure and experience throughout the education-to-career pipeline. In 2012, the Chamber of Commerce created an Education & Workforce Committee to facilitate integration between business and the school system. Two years later, the Chamber is now part of the schools’ strategic planning process and participated in the search process for the current superintendent. The Chamber’s approach to educational involvement is wide-ranging, supporting efforts from early childhood to higher education. The Greenville business community has been supportive of the development of a successful STEM elementary school as well as a STEAM5 middle school, set to open this fall. To complete the K-12 educational preparation for these types of careers, the Chamber has been very supportive of the NEXT High School, slated to open in the fall of 2016. Integral to all of these educational efforts are strong business involvement and project-based learning. The Chamber is committed to providing business linkages that give students exposure and the skills needed to succeed in the area’s technical, high-growth industries. Through a partnership with Furman University’s Riley Institute and some of the area’s biggest employers, including Michelin, Greenville Health System, and BMW, the Chamber has tried to address the misinformation about advanced manufacturing and other technical jobs. “You can’t wait until high school to expose kids to career opportunities, so we are helping foster partnerships with middle schools to bring business leaders into seventh grade classrooms,” says Hank Hyatt, vice president for economic development at the Greenville Chamber. “Dream Connectors and Principal for a Day are both getting traction in our community.” Students and their teachers also take trips to the shop floors to experience Greenville’s new economy in person. With so many strategies being deployed in specific schools or neighborhoods by different organizations and partners, a backbone organization is essential for coordinating efforts, assessing what is working and what is not, and developing plans to scale effective practices. “We know United Way cannot do or fund all of the work that is under way or that we need in Greenville,” says Martin. “What we can do is provide a framework for long-term change.” But getting people to understand that long-term change will require long-term investment, particularly in the White Horse Corridor, is a challenge. “We can’t fall into the typical trap of committing to something for three to five years before moving on to the ‘next big thing.’ We are trying to figure out how we convene people to commit to an approach for a longer period of time and in the context of a smaller geographic area,” says Martin. Despite these challenges, many leaders are committed to working over the long-term to create what United Way calls a cycle of success. “We’ve got to convince people that poverty is not a moment in time,” says Concklin of United Way.